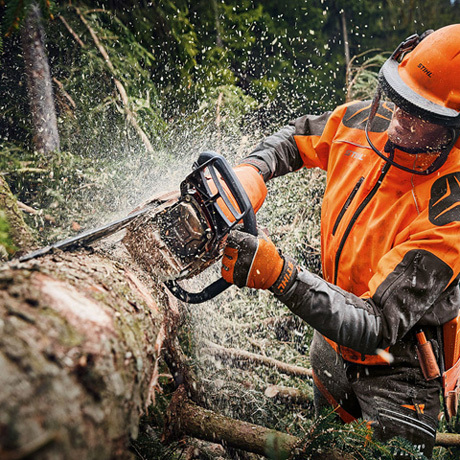 The lightest high-performance saw in the 70 cm³ cubic capacity class. Extraordinarily easy to manoeuvre, with outstanding acceleration. For felling and pruning in medium-density and high-density stands. Fitted with M-Tronic as standard; HD2 filter with very good filtering effect. Captive nuts on the sprocket cover make it easy to change the chain; tool-free fuel caps for easy and safe filling with fuels and lubricants; economical 2-MIX engine.